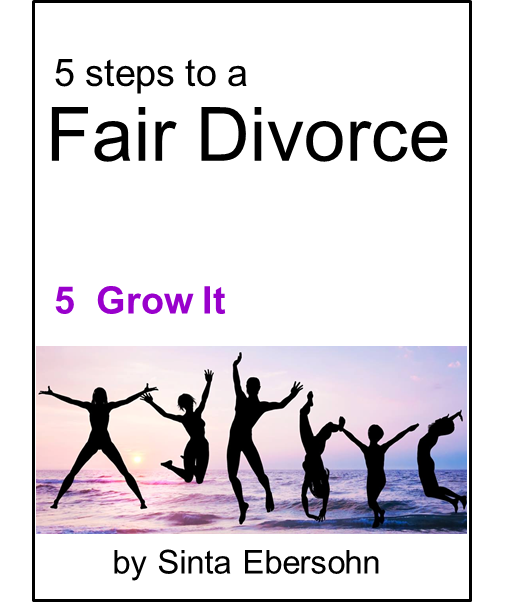 This eBook, is the first in a series of 5 eBooks, containing an in-depth examination of topics, including action steps to be taken and relevant matters to ponder as you journey through your divorce process. It is a revolutionary vision for divorcing families! 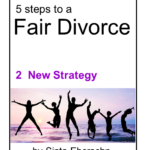 Applying these principles will bring you relief, resolution and dignity. 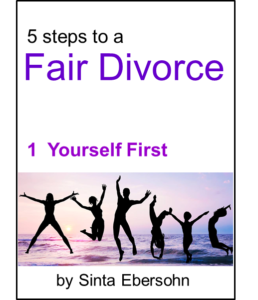 You will feel safe and secure in the knowledge that the fair outcome of your divorce is entirely in your own hands and definitely achievable. In 1 Look at Yourself First, I talk about forgiveness, promises and being fair while sharing valuable insight from my own experience and research.